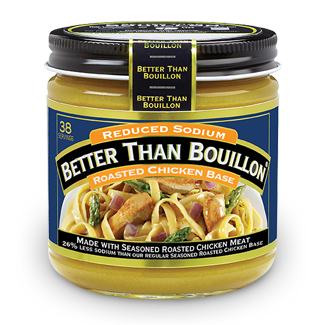 Reduced Sodium Better Than Bouillon® Roasted Chicken Base is made with roasted chicken and concentrated chicken stock and blended with other seasonings. 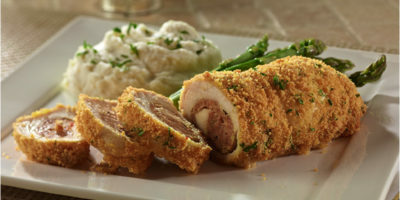 It has one-quarter less salt than our Original Bases, conforming to FDA requirements for reduced sodium levels. Better Than Bouillon blendable bases easily spoon right out of the jar and let you add as much, or as little, flavor as desired. 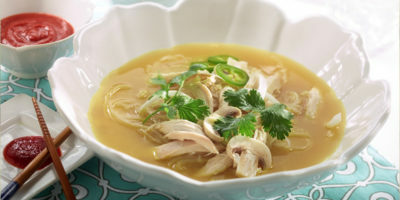 From marinades, glazes and vegetables to soups, sides and slow cooker dishes, Reduced Sodium Better Than Bouillon Roasted Chicken Base adds flavor to all your favorite dishes. Each jar contains 38 one-teaspoon servings.